Just over a year ago I was privileged to photograph a special wedding shoot. A touching story involving a man with Alzheimers who forgot he was married and proposed to his wife again - they went through with another wedding which he thought was his first. 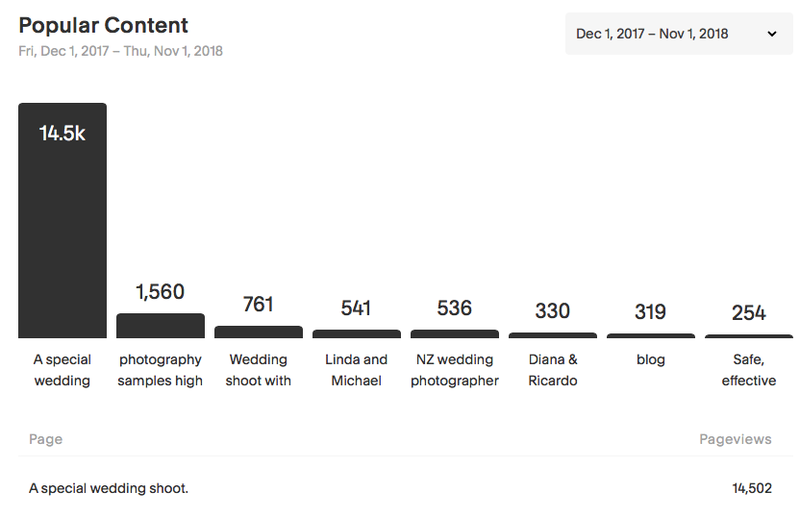 Stuff.co.nz published the story that night with a mention of my name as the photographer and I spent the next few days receiving emails, facebook messages and phone calls asking for permission to use my images in news stories around the world. Caters news agency called and gave me a story about how much coverage they could provide and how beneficial it would be for me to give them exclusive rights to the images BIG$$$$$$$ blah blah blah. It all sounded good, I wasn’t sure how much I could believe but gave it some thought. 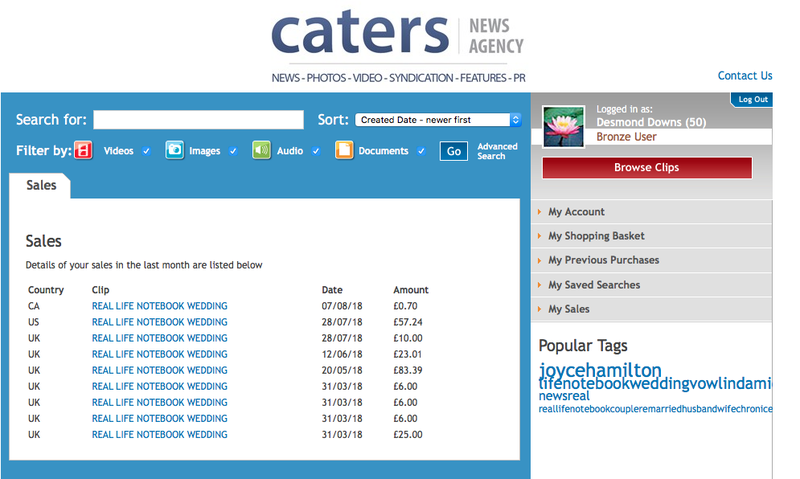 Then an hour later Linda [the bride] called and told me how Caters had promised her all sorts of benefits by going exclusive with them and said how much she would love to go down that track. At that moment I decided we would be going exclusive with Caters. After all, I photographed the occasion for free just to be a part of it and make their day as happy as possible - I expected nothing in return - I did not expect to gain anything from it besides hopefully a few more hits on my new website and of course, it was the couple’s big day and not my place to put a damper on it all. I will repeat for emphasis - I did not expect anything from the occasion, I am really happy with the amount of traffic it steered towards my website and I am not bitter at all, I decided to use the opportunity as a learning experience as well and I just want to share the results with anyone else who might one day receive such an offer…… as a warning! Moving on: I called Caters back and told them we would go ahead with “going exclusive, lots of coverage BIG$$$$ etc.” and just had to ask “How much can I expect to earn?”. “Ohhh, upwards of $3000! …… but it takes a few months you know, people have to buy rights to use the images from our site” . Uh huh! Ok then let’s see how it goes. I had to fill in a contract which I faithfully adhered to though I received several other offers, one person ‘borrowed’ some images for their story then contacted me and asked for more and I forwarded their details to Caters and the next day I received a message “Looks like I won’t be doing the story, sorry but $1000 is too much to use the images!” - wow, so Caters must be making good money with my images then! Now what will I buy with my $3000 “over the next few months”? This part is what I am really happy about, the Washington post published the story with a link to my blog that had a lot more photos and my website views shot up. Not exactly “viral” but 14.5K views over the last year. That, along with the happiness of the couple was more than enough payment for a few hours of my time and I am super happy about it. But of course, as mentioned, feel it worth sharing the monetary results with other photographers and people receiving similar promises from companies wanting to use their images. Over the next few days, then separated by weeks, then months, I checked into my BIG$$$ account with Caters expecting to see the results I was promised. To me “it takes a few months” means “more than two months, and less than a year” otherwise the statement should be “it takes more than a year [or two]” if someone were to be totally honest in their communication. I mean if someone were to ask me how much they could earn by doing this I would tell them that it will take a few years. Well actually based on current income and the rate things have slowed down, mathematically it will take a few centuries unless there is going to be some sudden surge in sales related to their anniversary - yeah right! I suppose based on inflation I would only need one sale in 100 years time to cover the amount - which should be able to buy a lens cap for the lens I could have bought today for the same money. Hmmmm, I think I’m beginning to understand the ‘honesty’ in their promise as would be explained by their lawyers in a court case. After all 100 years is “quite a few” months. Anyway, after about 10 months I saw there was enough to ask for a payment. I went through the process of supplying my request and filling in bank details etc. and waited. I received no reply. A week later I sent an email to the person who had previously replied within minutes - no reply. I decided to just wait it out - after all it adds to the story of the kind of service others can expect from this company and I wasn’t going to starve without the money. About a month later I saw a payment in one of my accounts finally. Based on my sales over “a few months”….. This resulted in NZ$387 or US$265. Maybe their promises are in Zimbabwe dollars? I imagine in this case their lawyer could argue that I received a lot more than promised. This may sound silly and to most of us it is - but in a legal case this is the way arguments could go - after all they could say that they knew I came from South Africa and were explaining it in terms I would understand, and kind of proves how fruitless a law case against them could be for someone who was really upset about their promised deal. In conclusion, this was an interesting experiment. I went exclusive with them to make the couple’s day happier and didn’t care what I got out of it. The traffic to my website for a few hours work/fun was worth more than $3000 in payments for SEO possibly. But there is obviously a certain amount of disappointment involved in not receiving something that was promised - if they had simply said “we don’t know how much you will get” I would have still done it for the couple, but obviously they won’t be able to rope others into their deals so easily by being truthful now will they? Personally I can’t say how photographers should handle a situation of having media available for a potentially viral story, maybe someone can chime in in the comments, all I can say for those who are new to the situation is “Get it in writing or ask for the amount in advance” - don’t believe their promises.